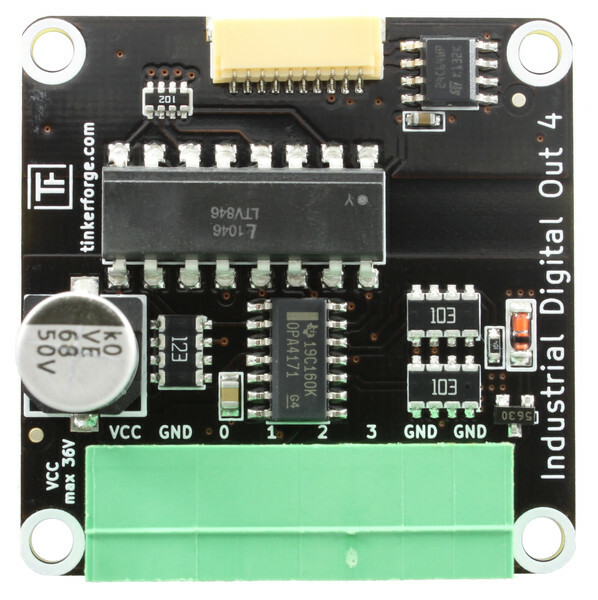 The Industrial Digital In, Digital Out and Quad Relay Bricklets are now available! All of the Industrial Bricklets are galvanically isolated. They are perfectly suited for interfacing with industrial controllers, such as PLC’s or frequency converters or to interface other 12V/24V hardware. The Industrial Bricklets are also the first Bricklets that allow software grouping. This feature makes it possible to group up to four Industrial Bricklets together. Without grouping it would be necessary to do multiple function calls to read or set a state of a group, so the state of the group would not be read or set simultaneously. With grouping this is now possible. Edit: Since there have been some questions about this: The Master Brick 2.0 and the shielded cables are completely compatible to the old Master and the other Bricks, Bricklets and cables. From now on the new Master Brick 2.0 is available in our shop! Every order that is shipped after November 26th and contains a Master Brick will have version 2.0. We are unexpectedly already out of the old Master Bricks and version 2.0 can be shipped earliest on November 29th, so there will unfortunately be a short delay in the shipments. 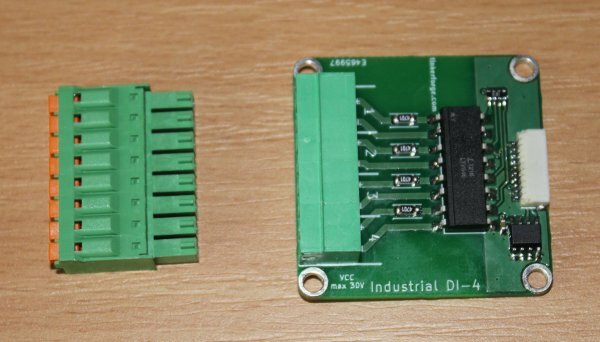 Protection against 8kV ESD discharge on all 40 pins of the 4 Bricklet ports. Bigger over voltage protection diodes. 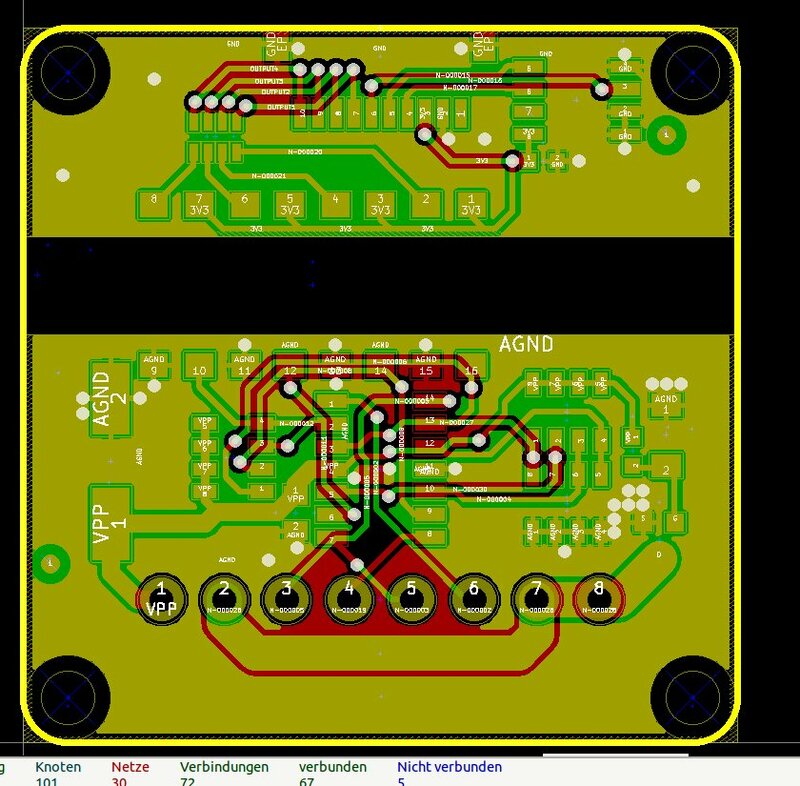 More efficient input diode, thus smaller voltage drop and more voltage for 5V Bricklets (e.g. IO16 and Analog Out). 3.3V rail inside stack now protected against short circuits. 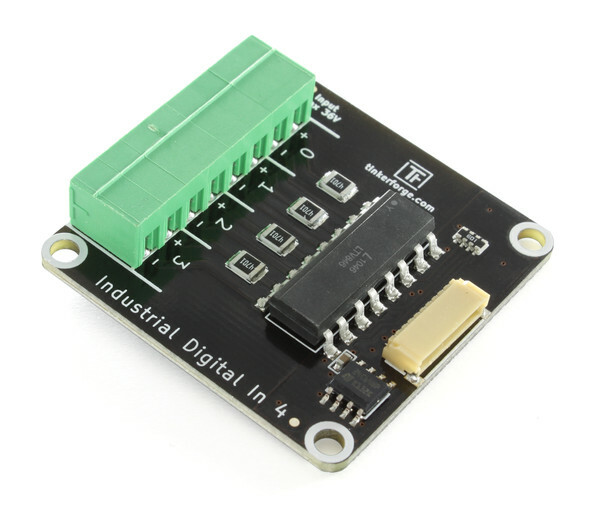 Automatic analog-to-digital converter calibration (in hardware). This allows for a more precise read out of analog Bricklets. Fixed voltage regulator instead of switching regulator for generation of 3.3V. Bigger component packages (0603 instead of 0402). These changes increase the production cost, but we decided to keep the old 29.99€ price point. Since the price is the same, the new Master Brick 2.0 will completely replace the old Master Brick version. Very first prototype, size 2.5x2.5cm, uses 8bit microcontroller. This is from late 2008! First prototype with a cortex-m3 microcontroller. It looks already pretty similar to the Master Brick 1.0. The Bricklet connectors on this are absolutely tiny and impossible to use :). 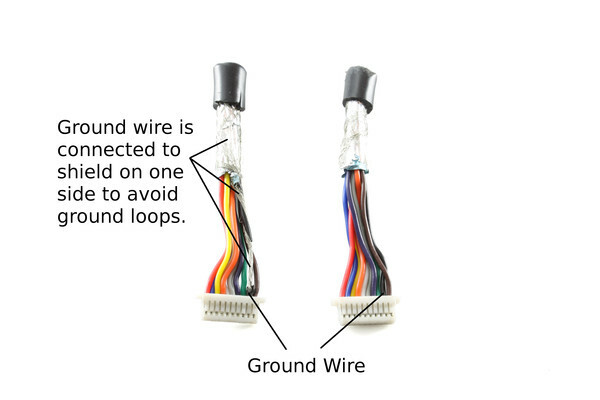 There are 5 different versions of this, with different board-to-board connectors. 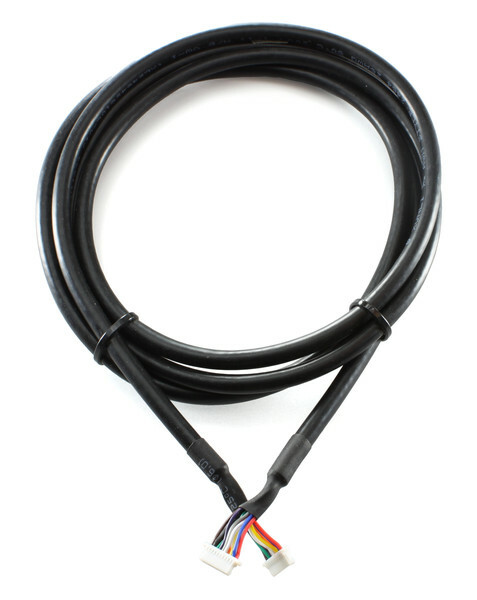 We now also offer something that has been asked for many times: Shielded Bricklet cables. Today we have added a new possibility for shipments outside of Germany. If you want to get your goods faster, you can now choose from different FedEx services. There will be a talk about the interaction of Bricks/Bricklets with Java EE and JavaFX at devoxx on November the 14th in Antwerp, Belgium. The talk is given by Geertjan Wielenga. As you may have already seen in the timeline, we are about to release a new series of Bricklets, the “Industrial Bricklets”. Power supply comes from the outside. All in and outputs of the Bricklet are opto-coupled and thus galvanically isolated. They are Software-Groupable (this allows to operate pins from different Bricklets concurrently). Connection: 8 pole pluggable terminal block. Below you can see a pototype of the Industrial Digital In 4. Other Industrial Bricklets are in the works, including a Bricklet that can measure a 4-20mA sensor with high precision. 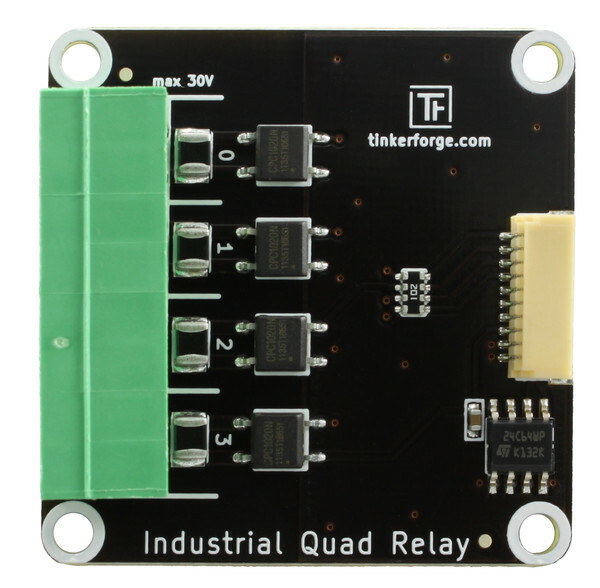 The Industrial Bricklet circuit boards are already ordered. We are currently planing to put them in our shop in week 47. In the image you can see two copper layers and the conducting paths in them. As you can see, there is no electrical connection between Bricklet input from Brick (top) and output (bottom). Sneak Preview: After the Industrial Bricklets and the new TF Protocol 2.0 we will also release a Master Brick 2.0 (with, among other things, EMI protection of up to 8kV for all 40 Pins that are outbound by the Bricklet ports) and shielded Bricklet cables. Stay tuned!